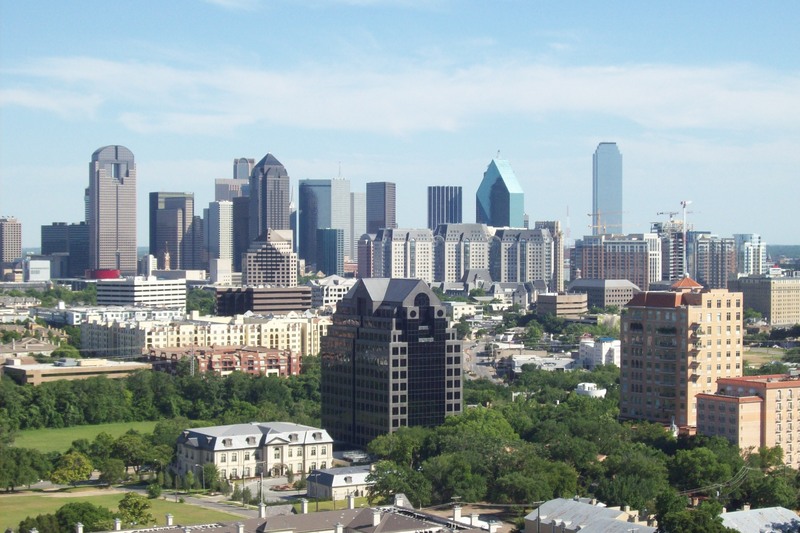 Dallas was incorporated as a city in 1856, and quickly became a business and trading center following the development of major rail lines through the area. The city’s importance as a transportation hub was reinforced by the construction of the Interstate Highway System in the mid-20th century, with four major highways meeting in the city and another circling it. While Dallas’ economy was initially based on cotton and oil, its accessibility has helped it become an industrial and financial center with a diverse range of industries and the third largest concentration of Fortune 500 companies in the U.S. 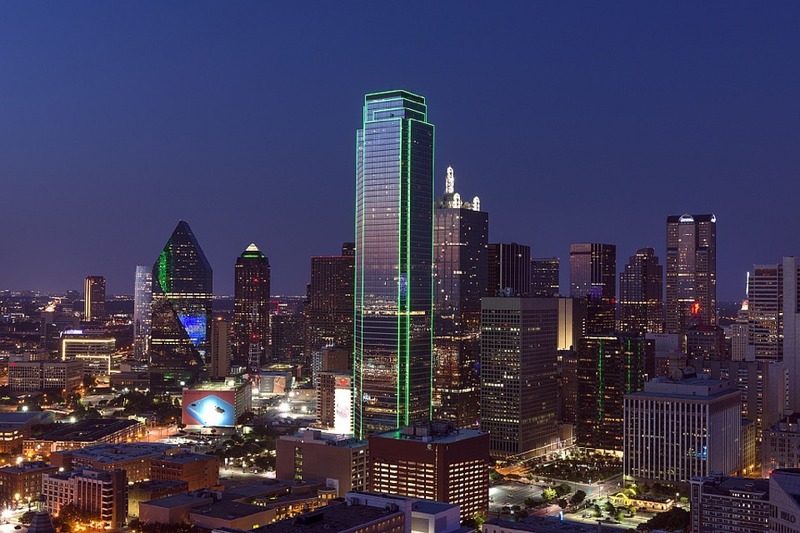 While other Texan cities have suffered in recent years due to falling oil prices, Dallas has continued its remarkable record of experiencing growth every decade since the 1870s. According to 2015 U.S. Census estimates, Dallas boasts over 1.3 million residents, making it the 9th largest city in the country. The city is 42 percent Hispanic/Latino American, 29 percent white American, 25 percent African American, and 3 percent Asian American. Demonstrating this dichotomy, the Urban Institute’s 2015 Neighborhood Inequality Index found that among all U.S. localities with at least 250,000 residents, Dallas had the largest gap between its top and bottom census tracts. Specifically, incomes in Dallas’ top tracts were nearly 6 times higher, housing values over 6 times higher, homeownership roughly two and a half times higher, and college completion 9 times higher than in its lowest ranking areas. Fortunately, Dallas is also home to a range of organizations working to address the city’s serious, concentrated poverty and build community wealth. For example, the city boasts numerous CDCs, including City Wide Community Development Corporation, which is currently developing a mixed-use, mixed-income, transit-oriented development in Dallas’ Lancaster Corridor, an area suffering from severe disinvestment. The project will encompass office and housing, including apartment homes for homeless women clustered around supportive services. CitySquare, a nonprofit aiming to fight poverty through service, advocacy, and friendship, runs a range of asset-building programs. In 2001, recognizing the city’s need for more affordable and supportive housing, the nonprofit created an affiliate CDC, which is now developing Cottages at Hickory Crossing, a $6.8 million project across from CitySquare’s main building, which will include 50 cottages for formerly homeless individuals in a village that encompasses a community garden and a range of services to meet residents’ needs. Established in 1894, Parkland Health & Hospital System is now one of the largest public hospital systems in the country, with more than 10,000 employees and over 1 million patients per year. Committed to sustainability, the hospital has an in-house laundry that relies on a water reclamation system, saving 1 million gallons of water each month. It also runs numerous programs to promote reuse and recycling. In 2015, Parkland partnered with the City and UT Southwestern to publish a recycling framework that helps other medical institutions adopt more eco-friendly practices. Also committed to supplier diversity, Parkland strives to engage woman and minority-owned businesses at all levels of its supply chain. Established in 2001, City Wide Community Development Corporation aims to revitalize neighborhoods and empower individuals and families to improve their quality of life. To do so, the CDC focuses on developing affordable housing for women, veterans, homeless individuals, and low-income families, particularly in mixed-use, transit-oriented communities around rail stations. City Wide is currently working on several projects in Dallas’ Lancaster Corridor, including a transit-oriented development with 193 apartment units, 14,000 square feet of office space, and a parking garage; as well as apartment homes for homeless women clustered around supportive services and a three-story, mixed-use development for veterans and seniors. Established in 1986, Innercity Community Development Corporation (ICDC) aims to create a stable, safe, and vibrant community in the South Dallas/Fair Park area by building partnerships that provide homeownership opportunities, job training, economic development, community education, and advocacy. Since 1995, the CDC has developed over 250 energy efficient homes in the South Dallas/Fair Park neighborhoods. Its commercial development projects include Spring Plaza Office Complex, a 21,000 square foot, two-­story office complex that the CDC built and now owns. In addition to retail and office space, the complex houses ICDC’s offices, its business incubator, and a classroom facility where it offers a youth entrepreneur program, homeownership education, and other trainings. Established in 1962, Sammons Enterprises is a 100 percent employee-owned diversified holding company with financial services, industrial equipment, real estate, and infrastructure businesses. Based in Dallas since its inception, Sammons Enterprises now has 4,000 employees across five countries, over $73 billion in assets, and more than $5.2 billion in annual revenues. With a strong commitment to the Dallas community, Sammons Enterprises’ founder, Charles Sammons, established the Sammons Dallas Foundation in 1970. In 2009, the foundation made a historic $100 million gift to six Dallas nonprofits. The foundation continues to support community organizations, providing $8 million in charitable contributions in 2015. Founded in 1988 as the Central Dallas Food Pantry, CitySquare adopted its current name in 2010 to make the case that fighting poverty involves uniting the entire community in the heart of the city. With a mission to fight the causes and effects of poverty through service, advocacy, and friendship, CitySquare runs a range of social service programs that serve about 50,000 people a year. Key programs include financial empowerment, which matches poor working families with coaches who help them build assets, and workforce development, which placed 279 people in jobs in 2015. In 2001, the nonprofit created an affiliate CDC, Central Dallas Community Development Corporation, to develop affordable and supportive housing. A joint project now under development is Cottages at Hickory Crossing, a $6.8 million housing project across from CitySquare’s main building. When completed, it will include 50 cottages for formerly homeless individuals in a village that encompasses a community garden and a range of services to meet residents’ needs. With roots dating back to 1908, WiNGS is a Dallas-based nonprofit focused on helping area women find a path to a better life. Through its Financial Empowerment Program, women can access free financial training, one-on-one financial coaching, banking products, benefit screenings, and matched savings of up to $4,000. WiNGS Women’s Enterprise Center supports female entrepreneurs interested in opening small businesses by providing training and technical assistance, mentorship, and access to capital. In 2015, WiNGS supported over 360 women, with 6 starting new businesses and 17 becoming new homeowners. Founded in 1999 by two Dallas entrepreneurs, 2000 Roses aims to help women, particularly those recovering from domestic violence or substance abuse, make the transition from incarceration back into the community. To do so, the nonprofit provides transitional living centers, information, education, and a range of services, and has served about 1,200 women since its inception. A key part of its program is Rose Garden ReMake, a boutique that sells products crafted by locals (ranging from home décor to artwork to clothing) as well as products handcrafted by the nonprofit’s clients. Clients not only are taught how to make candles, jewelry and other crafts, but can also work in the boutique to gain entrepreneurial skills and retail experience. Developed by City Wide CDC and Catalyst Urban, Lancaster Urban Village is a mixed-use project directly across from a rapid transit station and Veterans Administration Medical Center, the second largest VA hospital in the nation. The development includes 193 apartments—100 of which house tenants with incomes 80 percent or less of the city median— in three-story, LEED certified buildings that include 14,000 square feet of local retail and offices on the ground level. The project also includes a 50,000 square foot expansion of the Urban League of Greater Dallas & North Texas facility, which will add space for trade skill and workforce development classes.